Dr. Vendetti’s specialty in cosmetic procedures includes liposuction. For several years, he performed this body contouring procedure, and he now proudly uses SmartLipo, the most advanced in liposuction technology. It has garnered a reputation for high patient satisfaction and excellent results. So if your problem areas won’t respond to exercise and diet, Smartlipo provides dramatic improvements with greater results, minimal downtime, and less pain than traditional liposuction. 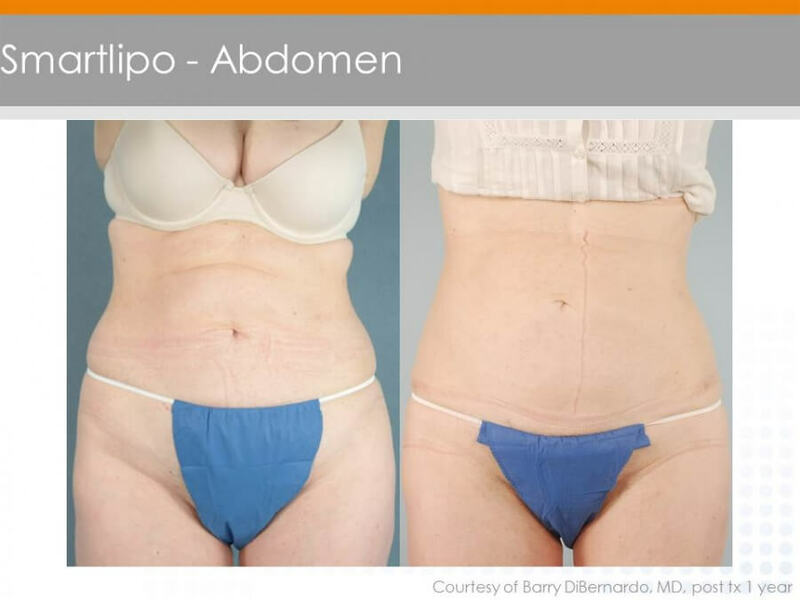 Smartlipo is designed exclusively to perform laser-assisted lipolysis, commonly refered to as laser liposuction. The laser literally melts fat, which is removed with gentle suction. At the same time, tissue coagulation through laser energy that is delivered, contributing to an overall smoother shape. Three wavelengths provide targeted treatments to disrupt fat; coagulate blood vessels and stimulate collagen which helps to tighten skin and improve elasticity by. 57%1. Smartlipo uses local anesthesia to numb only a specific area of the body being treated so you’re awake during the procedure- No General Anesthesia! Not just for the Body- Precision Liposuction for neck & face! Our Smartlipo Precision Tx focuses on concerns on the neck and face. Double chin? Saggy neck? Fat pocket under the chin or on the back of the neck? Scars? No problem! Using a smaller laser of a different frequency, Precision Tx is a smaller, more detail oriented scale of Smartlipo. Watch the video below to learn more! Treatment plans can be adjusted to fit everyone’s lifestyle. With Smartlipo, you’re in our doctor’s office one day and turning heads the next. Are you ready? It’s time to reshape your body and reshape your life. Call or contact us here! Aesthetic Surgery Journal October 2010; 30(4) 593-602.